Bodycon dress by LuLu’s found HERE. Can you guys believe we are in Wedding Season already?! I have the honor of being in a wedding this coming May for one of my girlfriends. What’s funny is the last wedding I was in I was pregnant with Noelia, so this seems to be the trend! “Hi! I’m Nicky, the pregnant Bridesmaid.” haha 🙂 All jokes aside, I think it is actually a cool feeling having another babe standing (or swimming) in your belly with you. If you’re like me, you don’t let the bump stop you from wearing a tight dress! 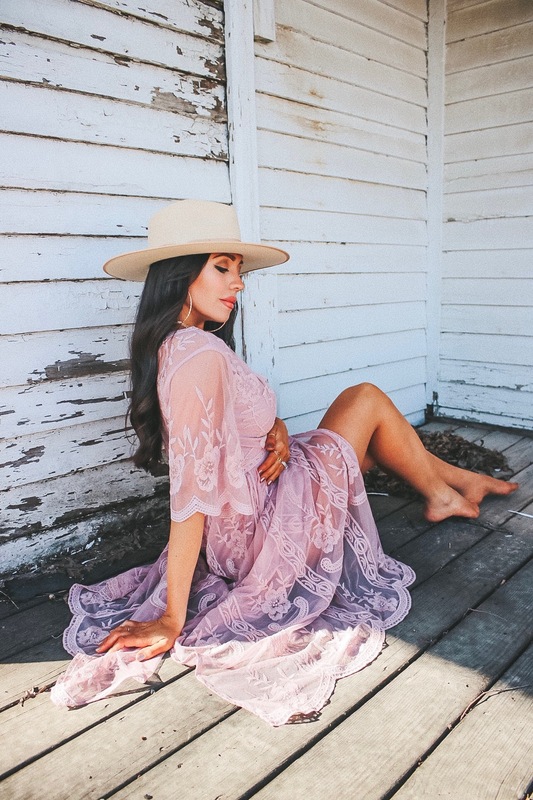 The above dress from Lulu’s found HERE has Nicky written all over it and it comes in multiple colors! 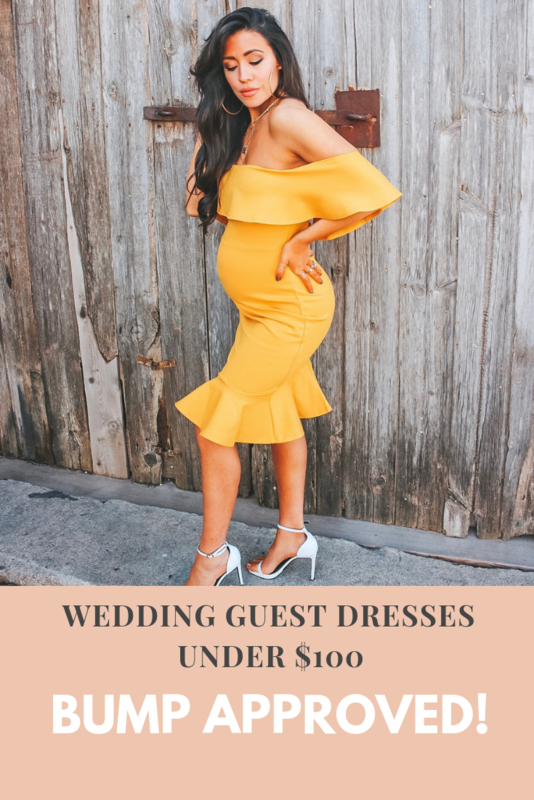 So for today’s post, I thought it was appropriate to talk bout Bump Approved Wedding Guest Dresses Under $100! Trust me, you will want to wear these beauties more than once! No bump can stop me from wearing my heels! I am very fortunate to feel well enough to wear them and never experienced super swollen feet! Fingers crossed I am still in the clear… I am still wearing a size Small. It goes without saying that this Mama loves showing her curves. I grew up with a Mama who was always seen in a tight dress or pencil skirt, done up head to toe even if she was just going to the grocery store. I never fully understood back then why she HAD to get all dressed up just for simple places or errands but now I get it. It makes you feel GOOD…it helps you remember who you are; something that can get buried under all the Mommy demands. When you feel good about yourself, that pours into other areas of life. So even on my worst days now, I still get up and get ready for the day because I know it will make me feel better! When it comes to tight dresses like the classic bodycon, making sure you size up if necessary is key. Usually these dresses are thick and tight, and can be uncomfortable on a growing bump. Always make sure you try on these types of dresses first to ensure you will be comfortable! If you are unsure on a size, go up one! You cant go wrong with a Maxi Romper… look super classy but it is still super comfy! This one is from VICI and can be found HERE. Use my code NICKY20 for 20% off their site! I am wearing a size Small. My hat is from Lack of Color AUS and can be found HERE and HERE. This romper was so fun to shoot in! Are you an avid Pinner?! Pin this image below to help other Mama’s rock their bumps to their next Wedding reception!